LA JOLLA, CA—Manifestations of Zika virus (ZIKV) infection differ drastically. Sometimes they are catastrophic, most notably when they cause microcephaly in some babies born to infected mothers. At other times, they are mild and fleeting, suggesting that unknown factors temper Zika infections’ severity. 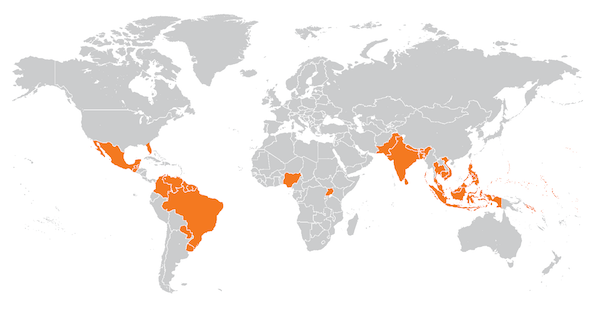 Recently, dengue virus emerged as a prime suspect because it shares many genetic and structural characteristics with ZIKV and is endemic in most of the regions affected by Zika’s global spread. A study published the November 13, 2017, issue of Nature Communications by La Jolla Institute for Immunology (LJI) investigator Sujan Shresta, Ph.D., now addresses interplay between dengue and ZIKV infections. It reports that mice rendered immune to dengue show “cross-protection” from subsequent Zika infection and then identifies specific types of immune T-cells capable of defending against both viruses. These revelations have profound implications for efforts to build a potent anti-Zika vaccine. When one encounters a pathogen in real life, two arms of the immune system spring into action to neutralize it. In the so-called humoral response, B-cells begin to secrete specific antibody proteins, which latch onto and neutralize pathogens in tissue or blood. Simultaneously, a cell-mediated immunity system also becomes active, deploying cytotoxic T-cells to directly recognize and kill pathogen-infected cells. In theory, the ideal vaccine might mimic both antibody and T cell responses to block an infectious disease. But in truth, most (26 of 28 vaccines currently licensed for human use) stimulate primarily a B-cell or antibody response, which in many cases is sufficient. 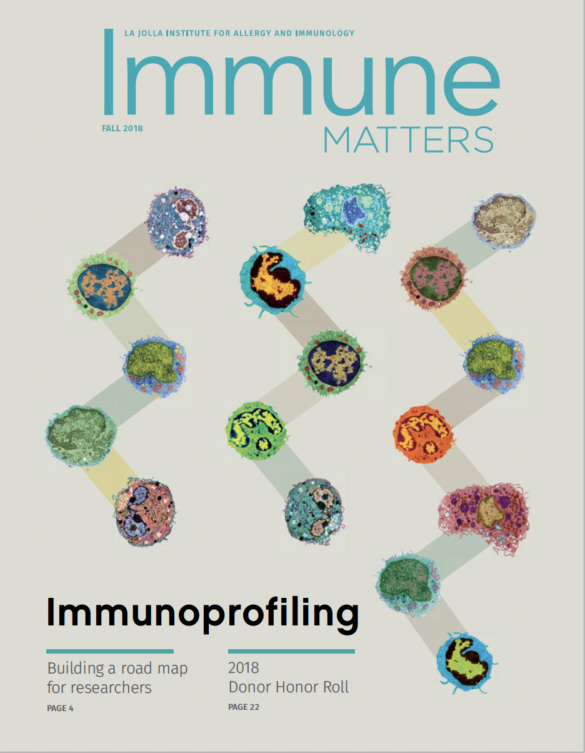 But Shresta’s new work confirms what many vaccinologists are beginning to suspect, namely that protection against thus far intractable pathogens will likely require rallying both B-cells and T-cells. Specifically, Shresta’s team created the first “sequential” mouse model mimicking dengue-then-Zika infection. To do that, they first infected mice genetically vulnerable to to this family of viruses with dengue virus. Those mice became sick, recovered from infection, and hence acquired immunity to dengue, presumably because viral infection had mobilized their immune B-cells, T-cells or both. The group then inoculated the same mice with ZIKV and waited to see if mice showed ZIKV symptoms. But overall, mice that had previously acquired dengue immunity showed protection against Zika, as evidenced by a reduced burden of ZIKV in blood and tissues, such as brain, liver or testis, compared to control mice not “pre-inoculated” against dengue. In a different experiment, the scientists isolated cytotoxic T cells from the blood of dengue-immune mice and infused them into normal mice, a procedure known as adoptive T-cell transfer. When infused mice were then infected with ZIKV, they also showed disease resistance, supporting the idea that the T-cell arm of the immune system can do the heavy lifting against ZIKV infection. Today, anti-dengue vaccines that primarily evoke antibody responses are in clinical trials or starting to be licensed in certain countries but show only moderate success. And, there are no approved Zika vaccines, although the US government is partnering with pharmaceutical companies to develop candidates. Other contributors include Annie Elong Ngono, Jose Angel Regla Nava, and Kenneth Kim, all of the Division of Inflammation Biology at LJI, and Matthew J. Gorman and Michael S. Diamond of Washington University School of Medicine in St. Louis. The study was funded by NIAID/NIH grants R01 AI116813 (S.S.), and R01 AI104972 and P01 AI106695 (to M.S.D.) and by institutional support (S.S.) from the La Jolla Institute for Immunology. The La Jolla Institute for Immunology is dedicated to understanding the intricacies and power of the immune system to that we may apply that knowledge to promote human health and prevent a wide range of human diseases. Since its founding in 1988 as an independent, nonprofit research organization, the Institute has made numerous advanced leading toward its goal: life without disease.